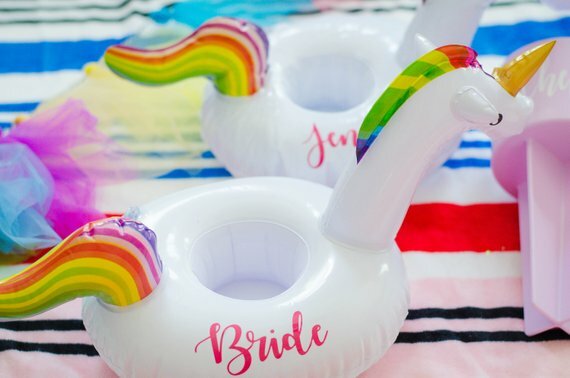 I found so much cool stuff on Etsy when I was writing my Bridesmaid Gift Ideas list, I had to make a list for bachelorette parties. There is some seriously fun and creative and sassy stuff out there and now I’d like to plan some bachelorette parties. 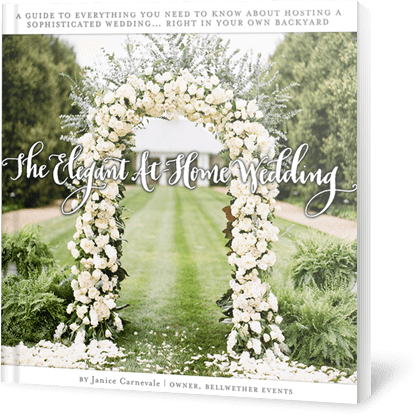 First, I’m sharing 5 invitations that should have just about every [great] theme covered! It’s not a big secret that I’ve been obsessed with fanny packs for years. That is what happens when you frequently wear dresses with no pockets yet need to carry around things like scissors, bobby pins, band-aids, etc. If I showed up to a bachelorette party and was handed a sweet fanny pack like this, I knew we were gonna have a killer time. Maybe you want to give a few gifts in a smaller bag – I got you! I love the items in this pic – nail polish, nail file, lip balm and small candies are fabulous ideas! I’ve also got you covered with buttons, some fake tattoos (another obsession of mine) and a funny hair tie. Even better if you send this with the invitation so that gals can come with the nail polish and tatts already done! Shop this Bachelorette Party Idea: Party Favor Pouch. I hope you get to go someplace sunny for the bachelorette party so you can wear some fun sunglasses! I love (and need) eye masks, and these are cracking me up. I think mine would read Dreaming of Chris Hemsworth. At least that is what Larry just suggested. Or maybe Joshua Jackson. There are a lot of tribe and squad shirts out there. This was the best one I found on Etsy. Once the party starts, you’ll want some custom glasses so that everyone can keep track of their drinks. I don’t know if these drink pool floats actually work, but I’m willing to find out. 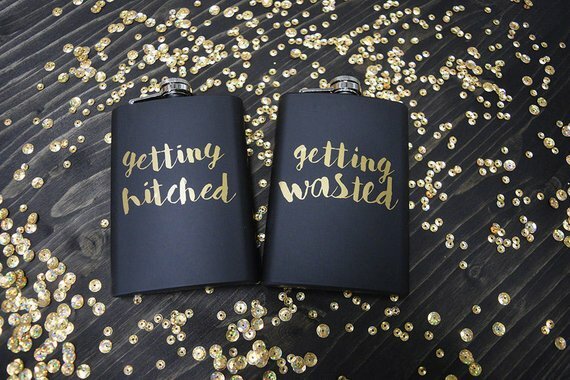 Whenever I see a guy (OK, let’s be honest, it’s always a groomsman) pull a flask out of his jacket (pocket!) I get a little jealous. If I had one of these chic flasks, I’d be a lot less jealous. I love party banners. This is some easy and quick decor for any locale! Since some women marry other women, I wanted to include some gay-friendly items that I came across that I love! At the end of the trip, you’ll be loved if you give out hangover kits for all the ladies. Here are a couple ideas. You know I had to include anything I found that was Harry Potter-related. And what do you put in the hangover kit pouch? Here are some ideas! Where are you going for your bachelorette party? What are you doing for your squad, and what are they doing for you? Spill the beans! Some of the above product links are affiliate-connected and purchasing through these links helps to support the company.